the way South Africans have been maltreating Nigerians,"
that they should go to the embassy." too were said to have been attacked. 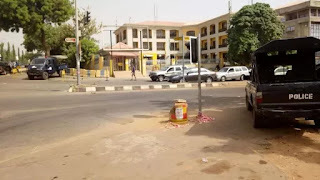 0 Response to "Angry Nigerians Attack MTN Head Office In Abuja(Photo)"